The Saskatchewan Roughriders have signed star running back William Powell. 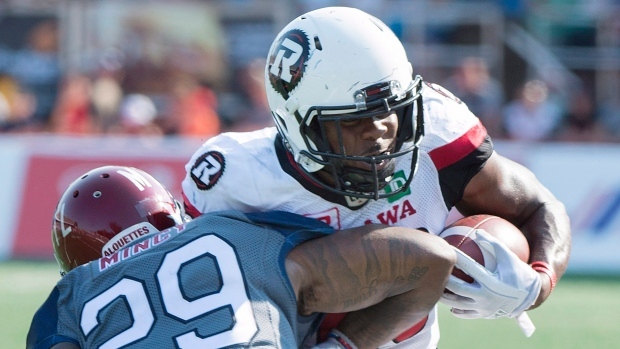 Powell finished second in league rushing last season with 1,362 yards with the Ottawa Redblacks. "It was the best pick for me. I like everything they have going on," Powell told CTV's Claire Hanna. "Every time I was there playing, even though it was for Ottawa, it seemed like a great fan base. Just seemed like a place I wanted to be." He spent his first three seasons with Ottawa, where he accumulated 2,835 yards on 500 carries for an average of 5.7 yards per carry. Powell also caught 90 catches for 719 yards and four touchdowns. The signing comes just hours after the start of CFL free agency Tuesday morning.